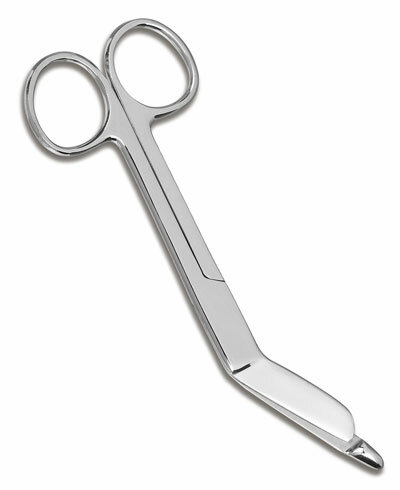 The use of scissors in the presence of vascular and nonvascular access devices shall be limited to suture removal and during the procedure of catheter repair. There have been reports of patient injuries and catheter damage related to the use of scissors near the vicinity of the catheter and dressing. A recent one is an article about a court’s decision on a case where a nurse severely cut the left index finger of an infant when she was removing tape that was securing the infant’s intravenous tubing. The infant’s finger was reattached and later, the parents sued the hospital. The hospital admitted liability and the jury decided on a $210,000 award for the family. See link below for details. I’m guessing some of you didn’t even know that there’s a infusion nursing standard of practice on the use of scissors. I know some of you are thinking… it’s a bit silly to even have a standard. But, many nurses will admit they have actually used “their bandage scissors” for this purpose. After all, that’s why nurses carry these scissors, right?. Well…true but…learn from this case, don’t use to remove IV dressings or tape. There are better and safer ways to remove an IV dressing. 1. Newsarticle on Court: $210,000 award against hospital not excessive. Author’s Note: The case stated ‘cut” which implies the use of scissors but was not stated. The picture above is for the purpose of showing the bandage scissor commonly used by most nurses, not necessarily the one used in this case. Do you flush and lock…. ← Guaranteed it works, if not, get $100,000.. Thanks! I hope your group would also consider joining our every other week Twitter chat at http://tweetchat.com/room/IVchat Next chat is October 25 at 8PM ET. Great case. I too have posted this link on my student access page as I’ve seen nurses do this far too many times in clinical practice and in the hospital setting. Very interesting article!